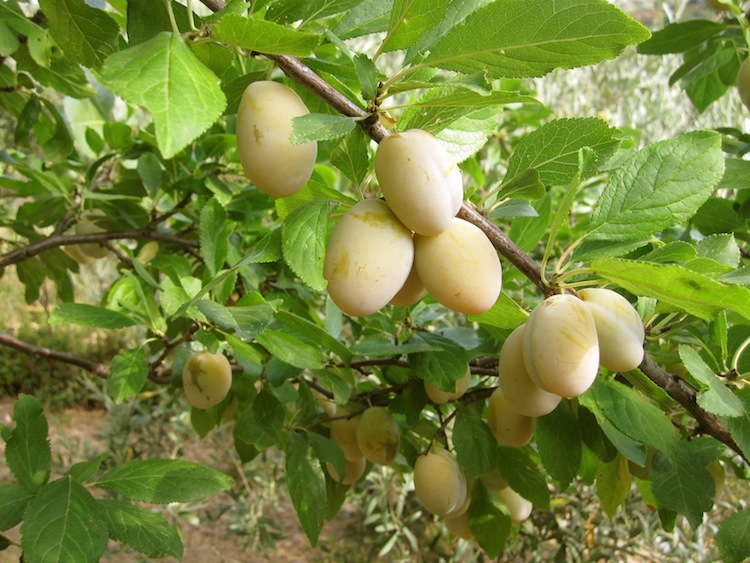 If you plan on making the Skopelitan spoon sweet from the yellow plums, the time to collect them is now. Kyria Marika Delitsikou-Papachristou, in her fine book of Skopelitan recipes, suggests that the fruit not be too ripe. Right now our plums are still firm and we are beginning to get the annual phone calls asking for a bag or two. I’ll gladly exchange a bag with a pot of jam!In times of economical crisis the exchange system is not a bad idea. I’ll take you up on it. I’ll drop some off tomorrow if you’d like.